It does not matter whether you stay for the weekend, the week or more: you will always have something to admire from Kralupy. In just 5 hours you will arrive in Prague and you can visit the historical center on foot or cross the city by boat, enjoying the splendid view of the castle, a UNESCO heritage site. You will then be able to go to the magnificent Lake Slapy dam, through deep locks. To the north, the castles of Nelahozeves and Veltrusy will delight you. Arriving at the confluence of the Vltava and Labe, it is the historic town of Mfilnik, which will open its doors, in the heart of the Czech wine region. These are vineyards that you will cross if you want to join Usti nad Labem. You prefer to go up the Labe River? A visit to the temple of Stara Boleslav is necessary before discovering Podfibrady, a well-known water town. 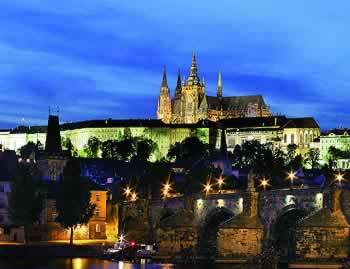 In all, 300 km of waterways invites you to discover the fabulous heritage of the Czech Republic. The splendid castles of Melnik, Nelahozeves, Veltrusy and RoudniceIt does not matter whether you stay for the weekend, the week or more: you will always have something to admire from Kralupy.